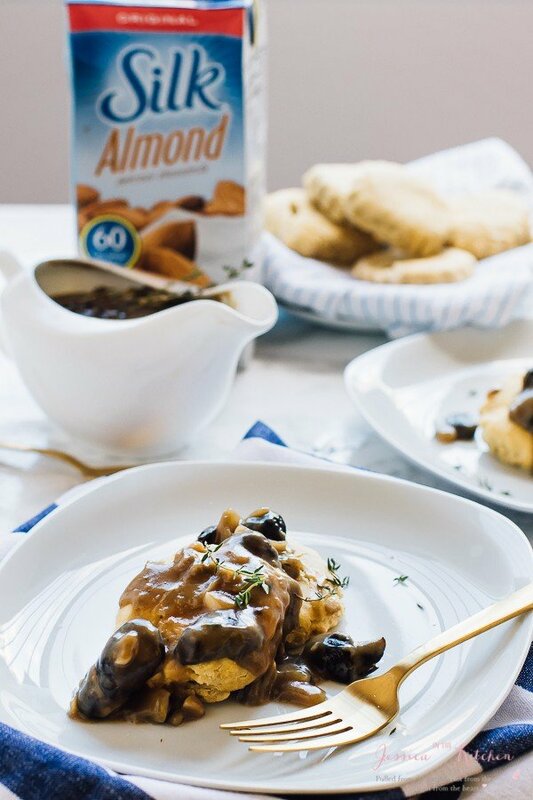 This Vegan Mushroom Gravy is packed with so much creamy flavour! 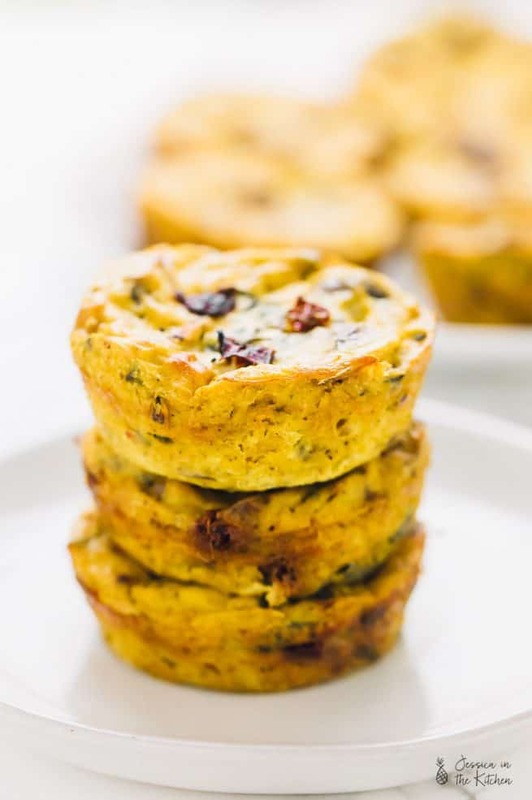 It’s the perfect consistency, gluten free and goes perfectly on all your favourite side dishes. Thanksgiving is just around the corner! If you’re settling on your table menu, then that means you most definitely need a gravy on it, right? Right. That’s where this Vegan Mushroom Gravy comes in. Seriously, the Mr. put this on everything for the few days it lasted in our house and deemed it the most flavourful gravy ever. I promise, he’s not paid to say these things! After you try this vegan mushroom gravy you may find yourself saying a similar statement. In between bites, of course. I’m almost finished wrapping up my Thanksgiving recipes for you, and there’s no way it would’ve been complete without this gravy. It’s actually like the third time we’ve made such a big batch of this, mainly because, well, it’s ridiculously tasty. 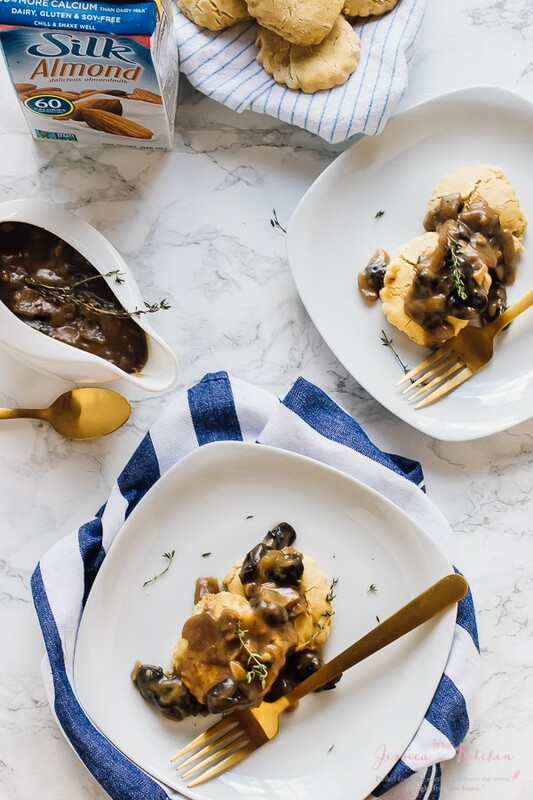 This Vegan Mushroom Gravy is creamy, filled with so much flavour, loaded with herbs and simple ingredients and is actually really easy to make. All you need to really do is put all the ingredients into your pan and cook them down – simple. I of course used my favourite, Silk Almondmilk, to make this gravy. Silk’s Almondmilk contributes towards that ultimate smooth and creamy flavour and texture and keeps calories lower than heavy cream would. It also makes this gravy 100% vegan and gluten free so you can definitely serve this to all of your guests. Flavor, convenience and perfect for everyone? Win, win. Speaking of keeping calories down, don’t we all want to do that for this upcoming super extravagant holiday?! 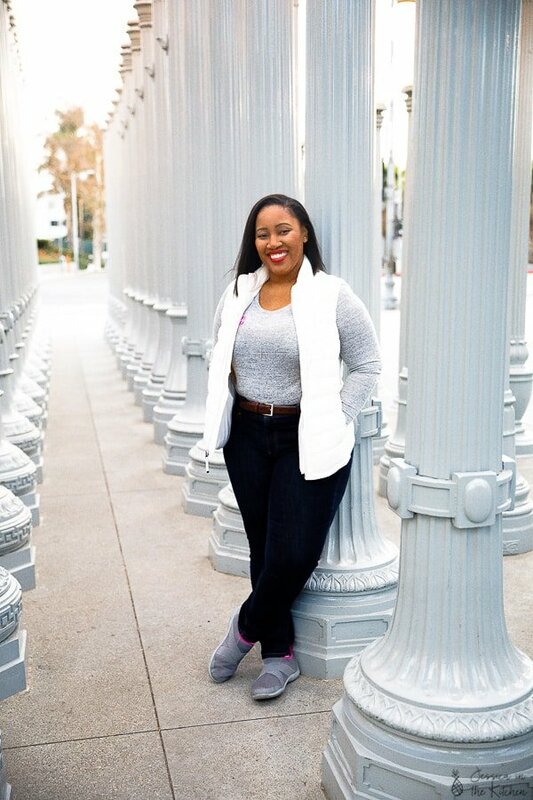 I’m actually over that feeling of feeling guilty after a great meal, so here’s some of the healthy holiday swaps I do during the holidays to keep the calories & guilt low, and the smiles and happy sighs high. Almondmilk, Cashewmilk or coconut milk/cream instead of heavy cream or whole milk. I haven’t noticed the different yet in terms of creaminess and it keeps you just as satisfied with a whole lot less calories. 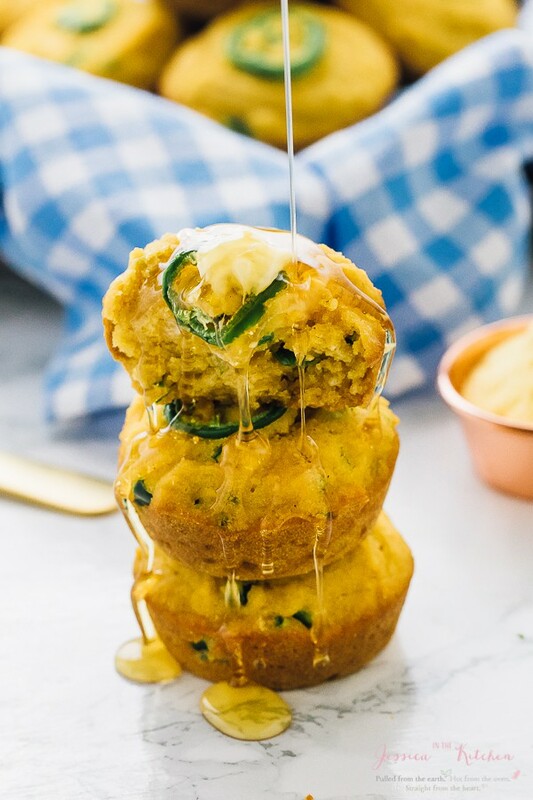 This makes a great difference in everything from your stuffing to your cornbread to your gravy! Sweet potatoes over candied yams. 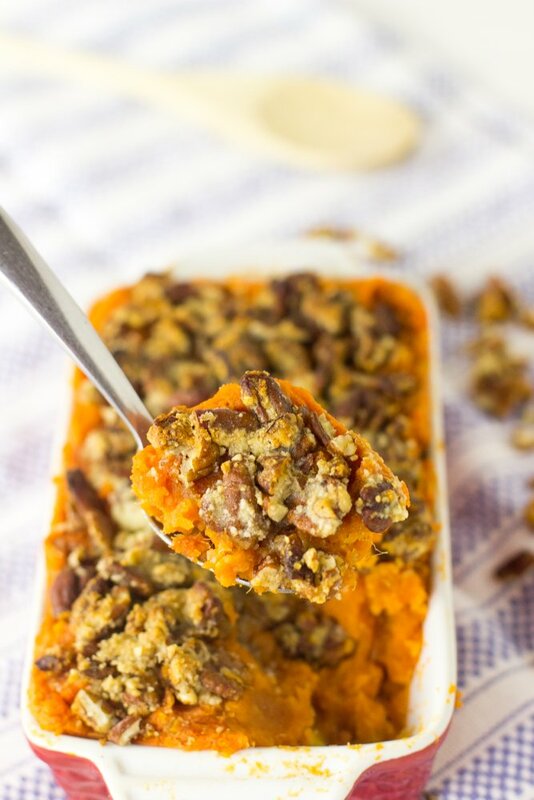 Even better, I make a lightened up skinny vegan sweet potato casserole with all the flavour and none of the guilt. I use my favourite, Silk Almondmilk, to make these too. This exact example, homemade low fat gravy over traditional gravy. 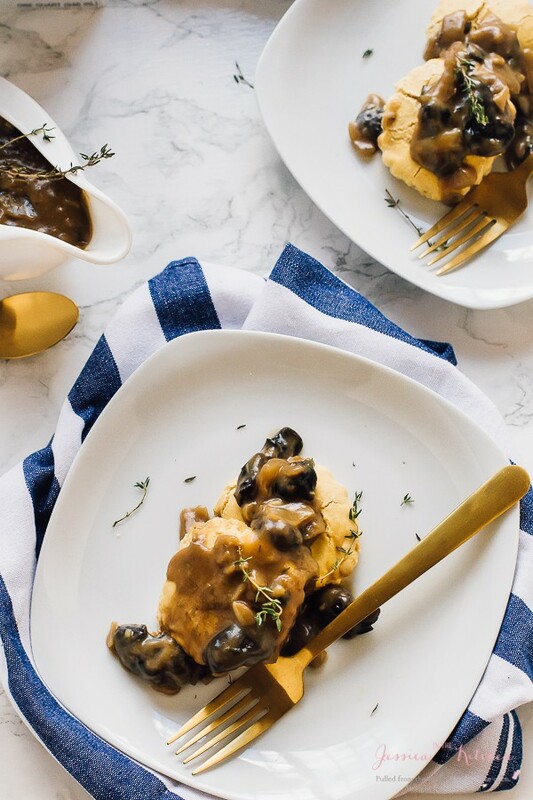 You pour gravy on basically everything, so know you can enjoy this healthier version that still tastes just as delicious. Now for desserts. I like to use gluten free flours, such as quinoa flour, or coconut flour which are low in carbs but taste pretty much the same way. They provide real nutrition in your recipes too rather than regular white bleached flour. I used coconut flour in this gravy and I’m convinced it contributed towards the flavour. These biscuits in these pictures? Made using quinoa flour. SO delicious! Lastly, your dessert can still be divine with a few healthy holiday swaps. Swap the white sugar for unrefined cane sugar, coconut sugar or even maple syrup in your desserts. Also, maybe use a homemade coconut whipped cream instead of regular canned whipped cream on your desserts. Otherwise, enjoy! 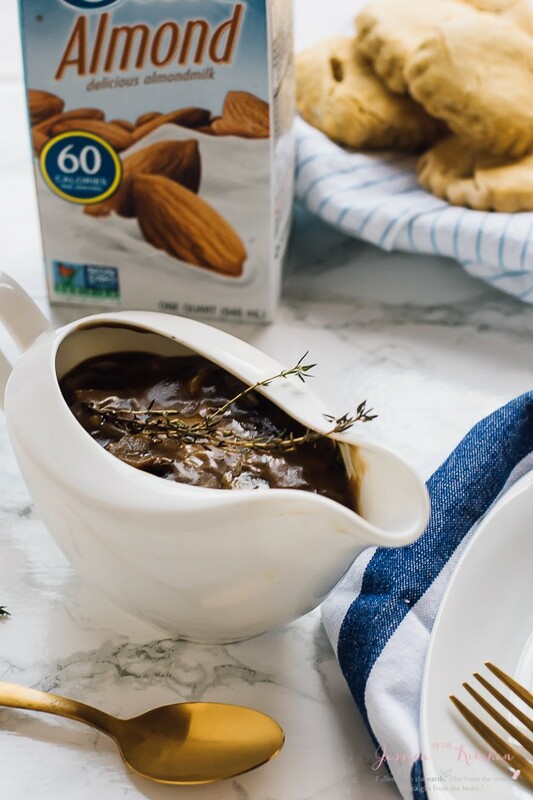 If you try this Vegan Mushroom Gravy please let me know in the comment section below, or tag me on instagram with the hashtag #jessicainthekitchen! For more exclusive recipes follow me on Instagram AND on Snapchat: jessinkitchen. This is a sponsored conversation written by me on behalf of Silk! The opinions and text are all mine. In a pan over medium high heat, heat the oil. Add the chopped mushrooms, onions, minced garlic and thyme to the pan. Stir together and allow to cook until onions are translucent and mushrooms have softened slightly and released juices, about 10 minutes. Add in the flour for 2 minutes, allowing to brown slightly, and then stirring with the ingredients. Add the vegetable broth, the Silk Almondmilk, stir and increase heat to medium high. Allow everything to simmer together until it's thickened, stirring occasionally, about 2 to 4 minutes. Add the liquid aminos at this point if using Remove from heat. Add salt and ground black pepper to taste if desired. Enjoy! We noticed that this gravy definitely gets a lot thicker once it’s cooled, as almost all do. Microwaving it brings it right back to the perfect consistency. If you make this ahead of time, just keep that in mind before placing it on the Thanksgiving table. It sounds and likes a great vegan gravy, Jessica. Wow this looks amazing!!! and tastes even better!!! Can you use garbanzo bean flour instead? Hi Paula, you should be able to but I can’t guarantee as I haven’t tried it. If you do, let me know please! I hope you enjoy! my son is allergic to nuts.what other milk have you tried? thanks! You can definitely use rice milk instead! !